Jeddah (Saudi Arabia) (AFP) - Saudi Arabia has provided Lebanon's army, battling jihadists on the Syrian border, with one billion dollars to strengthen security, former Lebanese premier Saad Hariri told reporters in Jeddah on Wednesday. King Abdullah "has informed me of his generous decision to provide the Lebanese army... with one billion dollars to strengthen its capabilities to preserve Lebanon's security," Hariri told reporters in Jeddah. Speaking from King Abdullah's palace in the Saudi Red Sea city of Jeddah, Lebanon's Sunni community's most prominent political representative added that "we have received this aid." "This aid is very important especially at this time when Lebanon is fighting terrorism," said Hariri at the overnight conference. 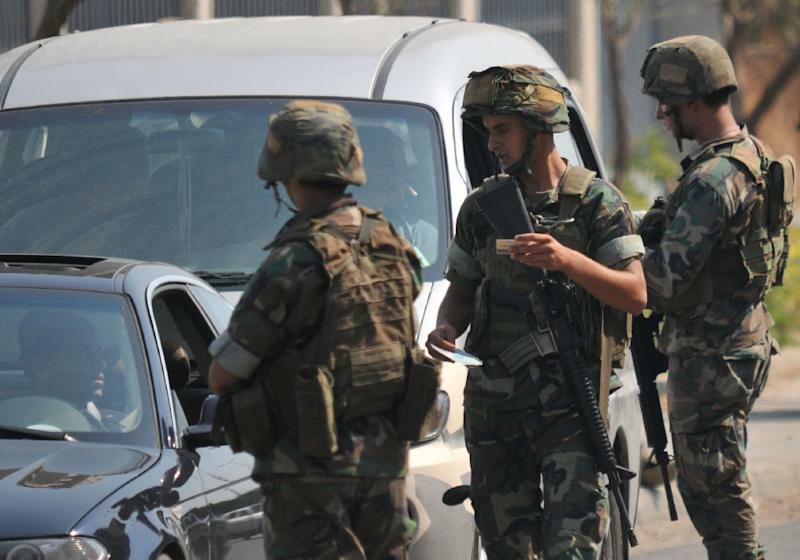 Lebanese troops have been clashing with militants since Saturday in the country's eastern town of Arsal. 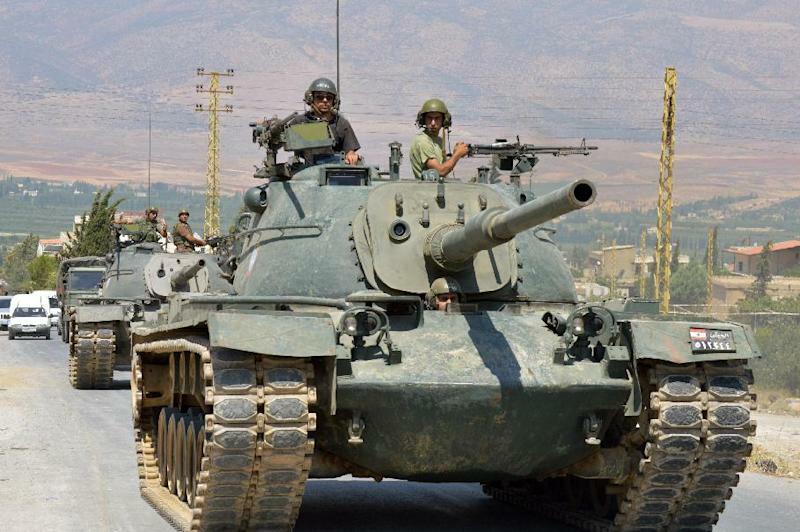 Sunni-dominated regional heavyweight Saudi Arabia is already financing a $3-billion package of French military equipment and arms for Lebanon's army. Lebanon's army chief General Jean Kahwaji on Tuesday urged France to speed up the promised weapons supplies to help his troops. Saudi King Abdullah has expressed his oil-rich state's support for Beirut against "terrorism" during a phone call with former Lebanese president Michel Sleiman. The king also "stressed his determination to speed up the implementation of support for the Lebanese army," according to Sleiman's office. Sleiman finished his term in office earlier this year, but consensus has yet to be reached on his successor. The fighting in Arsal is the worst violence to hit the volatile border region since the 2011 outbreak of the armed uprising in Syria against President Bashar al-Assad. Lebanon is hosting one million Syrian refugees, and despite an official policy of neutrality towards the conflict in its larger neighbour, it has regularly seen the fighting spill over the border. The Arsal violence has left 16 soldiers dead and 85 wounded, while dozens of jihadists are said to have been killed, along with three civilians. Another 22 soldiers are missing, possibly having been taken hostage. The militants have also detained 20 policemen, three of whom were freed on Tuesday afternoon, police sources said. The releases were reportedly part of negotiations for a ceasefire, but shelling resumed after they were freed. Hariri on Wednesday confirmed that "negotiations are ongoing to free" the policemen and to end the presence "of the armed militants from Arsal and from Lebanon." "These are difficult negotiations since you are dealing with terrorists," he said. "But God willing, there is a group of clerics in Arsal right now negotiating with these gunmen and this (Saudi) aid to the Lebanese army is very important," he added. The fighting started Saturday after the arrest of a Syrian man who the army said had confessed to being a member of Al-Nusra Front, an Al-Qaeda affiliate fighting in Syria. Analysts have warned that an aggressive army response or the involvement of Shiite militant group Hezbollah in Arsal would anger Lebanon's Sunnis. Many of Lebanon's Sunni Muslims resent Hezbollah's outsized military power, and have been angered by its role in fighting Syria's mainly-Sunni rebels.